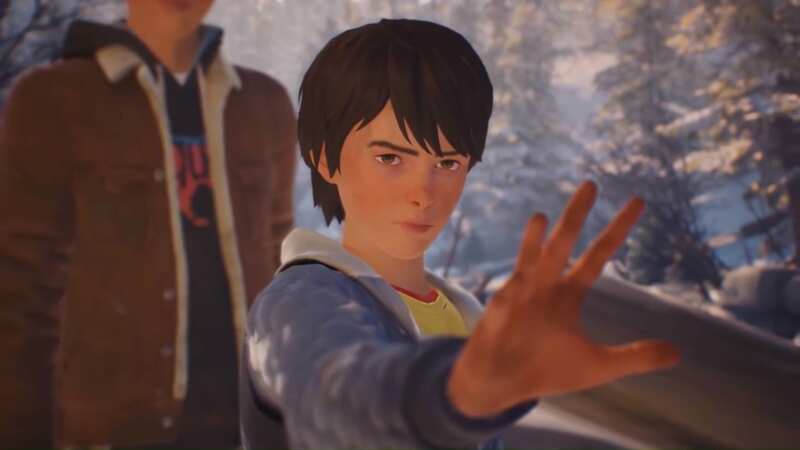 The second episode of Life is Strange 2, “Rules,” dropped on Jan. 24, nearly four months after its first episode, “Roads.” The wait was worth it, for the most part. From an aesthetic perspective, Episode 2 is as beautiful, if not more so, than the franchise has ever been. The story, however, continues to deliver the occasional punch to the gut while constantly challenging your sense of morality. In essence, if you enjoyed Episode 1, you’ll more than likely enjoy Episode 2, even if the long wait soured your love of the franchise a bit. Below will be spoilers for Life is Strange 2, Episode 1. If you don’t want to be spoiled on Episode 1, but are still curious about the game, feel free to check out our spoiler-free review. Episode 2 spoilers will be kept out as much as possible. Daniel Diaz learns how to use his powers so he doesn’t Hulk out again. Episode 2 picks up a few weeks after Episode 1, with the Diaz brothers having found an abandoned cabin in the woods. 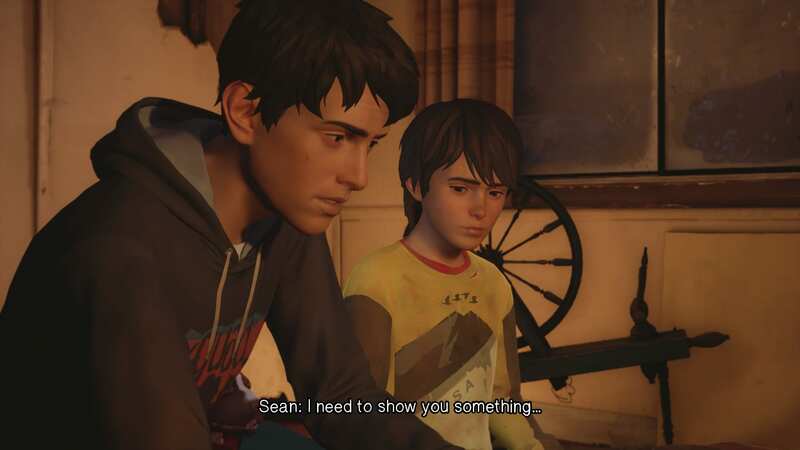 After Daniel’s powers erupted multiple times in the last episode, Sean helps him control his latent talents, which is demonstrated throughout “Rules.” A majority of your choices will involve how Daniel values his powers and the well-being of others, and these choices are the best facet of Life is Strange 2 so far. These choices feel like they matter more than ever before because the repercussions are more immediate, reflecting how Daniel learns from Sean. In a small example, I made Sean refute the concept of religion when Daniel asks about it. An hour later, Daniel rudely disparages someone who asks him to pray because “Sean said heaven doesn’t exist.” The quick feedback is visceral, and to raise the stakes, these choices affect a child who has potentially destructive telekinetic superpowers. The social dynamic between these two features some of the best writing in Episode 2. While most of Daniel’s actions in Episode 1 have generally been uncontrolled chaos, Episode 2 changes that completely. Daniel can control his powers now, as long as his emotions remain stable. 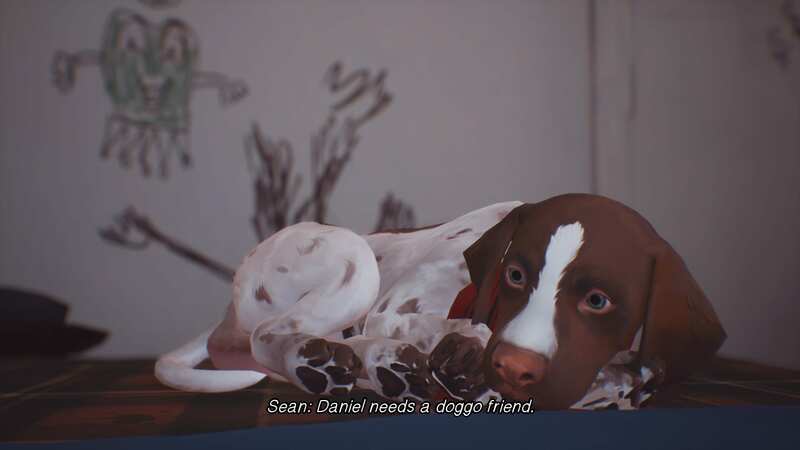 Thus, responsibility obviously becomes one of the central themes to this episode, and perhaps the rest of Life is Strange 2. Picking up on an overused adage from our friendly neighborhood webslinger, Sean and Daniel explore the delicate balance between having powers and using them responsibly. To add another layer of complexity, it’s up to you to manage the relationship between the two. Daniel learns from your actions and responds to your words. How he uses his powers are completely dependent on what you teach him and how you interact with him. As such, Life is Strange 2 succeeds at causing a variety of internal debates. Throughout the episode, you’re presented with scenarios that often give Sean the choice to ask Daniel to use his powers. Of course, doing so has consequences, but sometimes the consequence of not using those powers can be worse. It’s a philosophical struggle that consistently challenges your moral compass. Just when you think you’ve cemented your stance on how Daniel should use his powers, the stakes get raised, making you question everything again. It’s a concept that comic books have toyed with for decades, but seeing it play out in a game takes it to a new level. Correction: We all need a doggo friend. Despite telling a new story with different characters, Life is Strange 2 stays true to its roots. The characters still use that hip language that all the kids do, with an assortment of pop-culture references to boot. The licensed soundtrack features a similar blend of indie, alternative, and shoegaze, which I enjoyed. Regardless of how you feel about those genres, the song choices still fit with the story and atmosphere. Unfortunately, the sound design outside of the music choices took a hit with this episode. Part-way through, I noticed a sound effect from one scene continued to linger in future scenes when it shouldn’t have. Quickly quitting to the main menu and reloading the save file fixed it, and I wouldn’t have mentioned it if it weren’t for the issues with the dialog. On multiple occasions, characters would cut each other off, and in a few rare instances, I heard the same character speak two voice lines that overlapped with each other. When dialogue and cutscenes make up a majority of the game’s appeal, these sound design hitches are very noticeable. Nonetheless, “Rules” can be called a mostly successful entry in the Life is Strange catalog. The plot uses the newly introduced characters very well, each of them fulfilling an important role in Sean and Daniel’s adventure. No moment feels wasted, with every action leading to major changes in the story. Above all, after I finished the episode, I knew I immediately wanted more from Dontnod. It’s just a shame that it could take another four months. Robert reviewed Life is Strange, Episode 2 using a personally purchased copy on PC. The game is also available on PlayStation 4 and Xbox One.